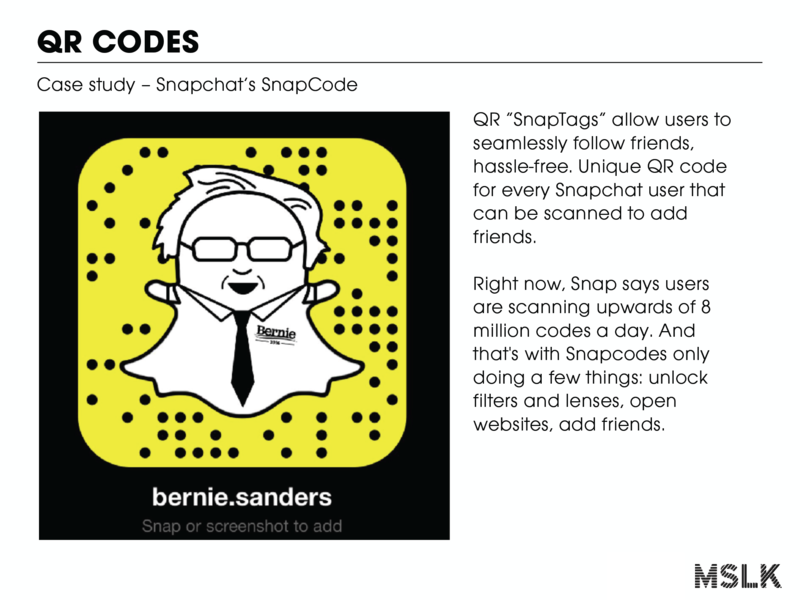 QR codes are making a comeback. QR “Quick Response” codes are quite remarkable. Not only are they one of the most used types of 2-D code today, their ability to enhance the customer experience at retail has brought immeasurable convenience to shoppers all over the world. In an ever-increasing mobile economy, the QR code is exactly what we needed. They enhance the shopping experience, providing boundless access to information, personalized content, and resources in a split-second augmented reality experience, all by simply aiming your smartphone camera. 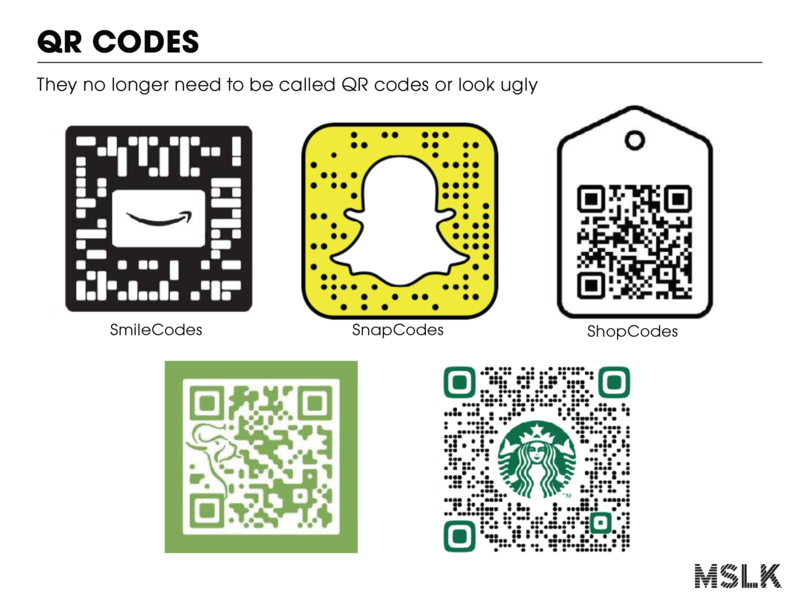 Everyone remembers the QR code’s growing pains in the early 2010’s. The young technology was deemed overhyped as it underperformed to our expectations. Most passed the supposedly advanced code as inconvenient, tedious and ugly. One of the biggest pain points of early QR tech was its terrible usability. A user had to first download an app just to even begin to scan a code to access a link. Little did we know, it wasn’t QR codes that had underperformed, it was both our devices and mobile Internet access that were just a few steps behind. We just had to wait patiently until our devices and their supporting technology caught up. Luckily, that day has finally come. When Apple released the iPhone iOS11 update, it made QR code scanning capabilities native on your camera app. 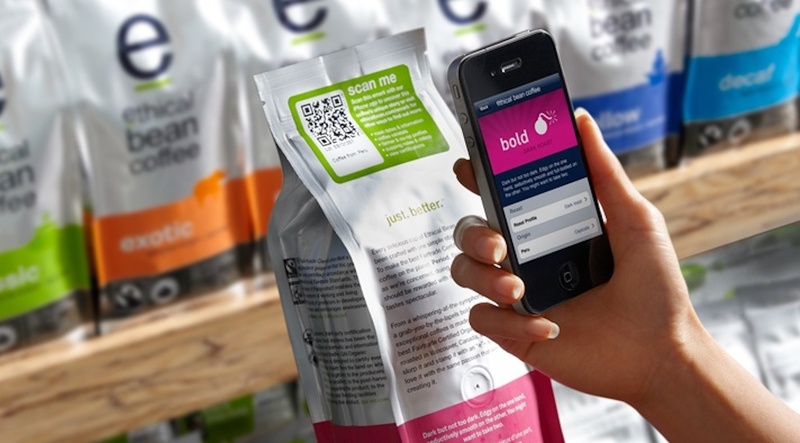 QR reading capabilities are now within the hands of millions of users worldwide. With user friction reduced, individuals could now just simply open their camera, point and open a link, alleviating confusion and improving usability. This update, paired with increasing access to Wi-Fi and data, brings QR codes back into the retail spotlight. They provide the easiest Call to Action at the Point of Sale, appealing to the mobile economy. Now global companies such as Amazon, Snap Inc. (Snapchat), Starbucks and Spotify are actively utilizing them. 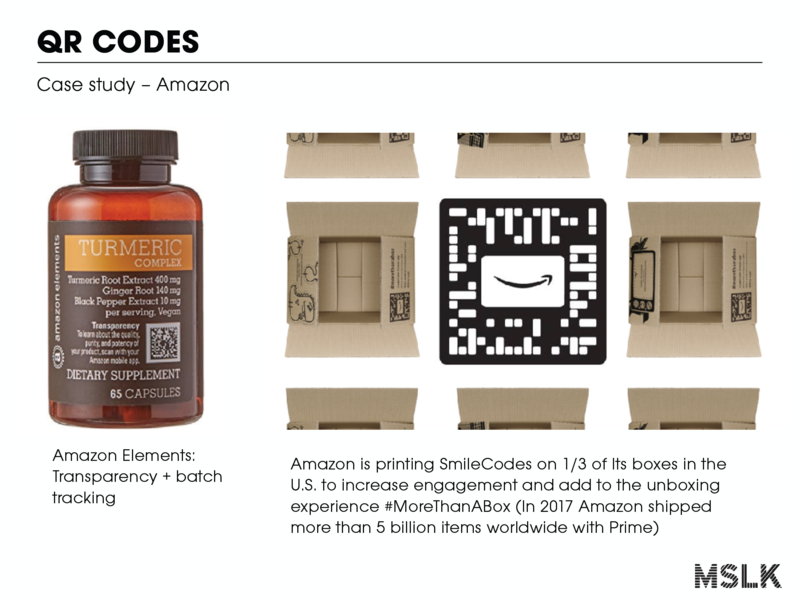 It’s clear that QR codes have entered the retail spotlight, providing augmented digital experiences at brick and mortar. 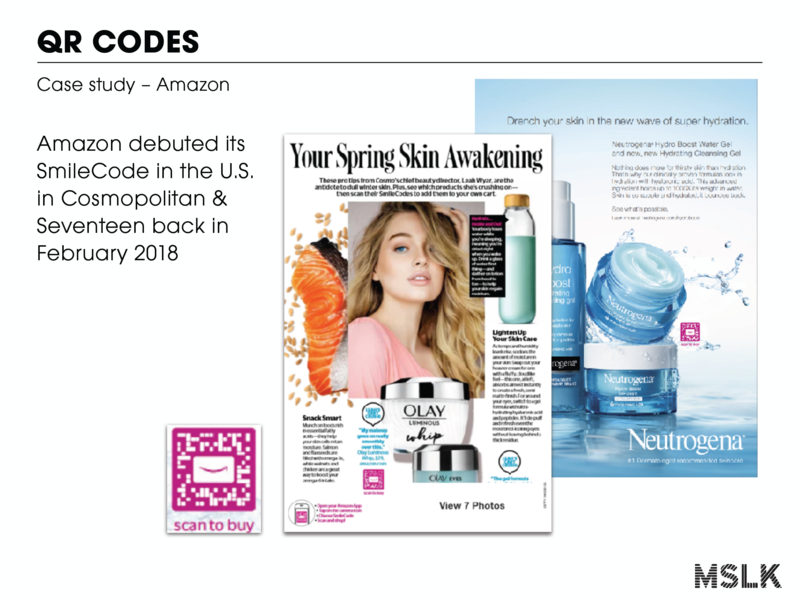 It’s no surprise that QR code’s potential is being picked up by beauty brands. The beauty industry has always been a leader of innovation paired with enormous and rapid growth. Beauty brands are always searching for new ways to enhance the consumer experience and educate them all at once. In today’s beauty climate, trends, consumer needs and wants are rapidly changing, forcing beauty brands to adapt to an extremely diverse consumer needs set, demanding highly responsive and accessible brands that deliver personalized content. In an age of social media and instant gratification, consumer tastes and beauty trends are changing more rapidly than ever before. Beauty consumers expect brands to provide more, more content, experiences and increased transparency, enabling a deeper connection that will justify their purchase decision. As more and more shopping shifts online, consumers continue to search for an enhanced experience at retail. 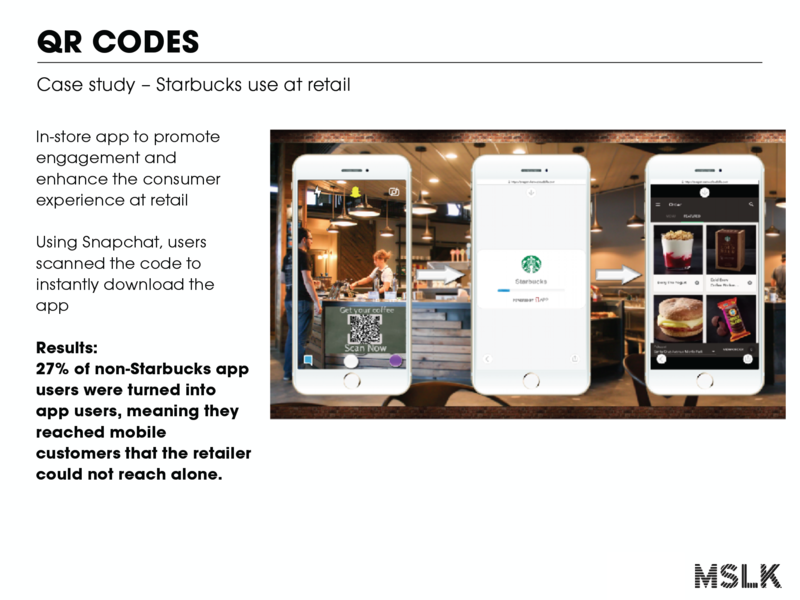 QR codes can fulfill the consumer need for a rich, unique experience at retail by collapsing the distance between the reality and mobile, maintaining engagement and interest. Here’s a scenario: A woman walks into CVS looking for mascara. She’s been a loyal Great Lash as long as she remembers, but is ready to move on to something new. As she shops, she sees so many pretty tubes, in all shapes, sizes and prices, but here isn’t one mascara that is obviously the perfect match. With no store rep in sight, she searches for education. As she browses, she spots a pixelated square next to a particular brand’s new mascara collection. Next to it, it reads, “Scan me to find your perfect lash!”. She decides to give it a try – pulls out her iPhone camera and points at the cryptic code. Voila! She’s instantly brought to the brand’s site where she’s met with a 15 second quiz, resulting in a personalized recommendation. She loves it and buys it. These few seconds at retail are pivotal in grabbing a beauty shopper’s attention and convincing them to purchase. Of course, there’s only so much content a brand can provide on packaging and at retail. 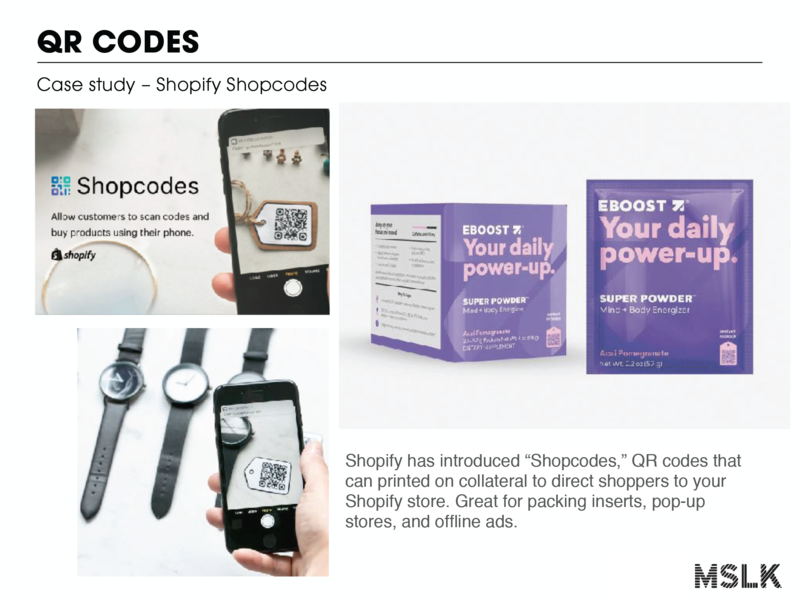 The QR code is an excellent tool to shorten the gap between the shopper and the product, bringing more to the brick-and-mortar retail experience, shifting the digital experience to retail as more customers as shoppers increasingly shop online. 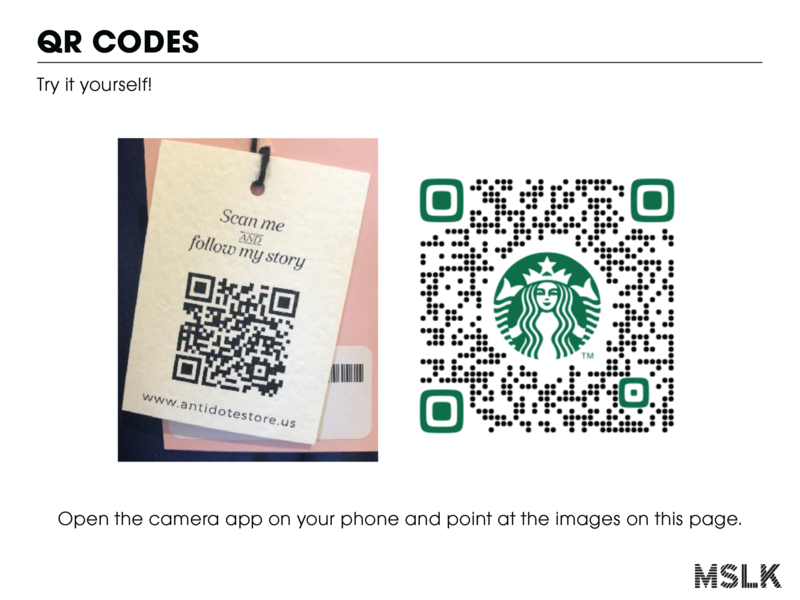 An effectively placed QR code can transform a normally straightforward and mundane shopping experience into a highly rewarding and interactive one. As she shops, she’s prompted to interact with her purchase and the brand on a deeper level. In seconds, a shopper can scan their product code for a special in-store discount, watch tutorials and read reviews, download an app, browse related products, view tons of related content such as ingredient or founder stories, join a loyalty or membership program, to name a few. Companies can also benefit, using QR codes as a tool to expand their customer database, therefore allowing them to learn much more about their consumer’s behavior and purchasing habits. They can leverage sales and marketing strategies and use codes to drive the shopper to content marketing and social media initiatives. These codes drive traffic to your brand’s site, allowing you to learn more about your target customer by building your database while simultaneously educating and increasing brand awareness. With QR codes now accessible to millions globally, companies have an incredible opportunity to apply the tech to enhance their brand experience. They act to further shorten the gap between the consumer and brand while providing a memorable, integrated and unique experience. Of course, there is a slight uphill battle to fight the stigma replacing previous misconceptions, but as large corporations use them and consumers become educated, everyone will benefit.